For the most part, website visitors are quite predictable. This gives you, a business owner, a huge advantage. Why? Psychology! If you understand the psychology, tendencies, and patterns of your visitors, you can tweak your content to capitalize on their habits. 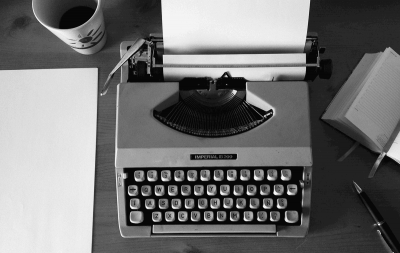 Here are 15 specific habits I’ve uncovered that will change your approach to writing content. 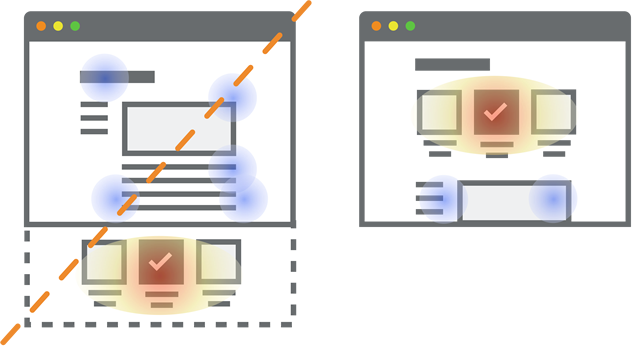 A study from the Nielson Group found that most people view a website in an F-shaped pattern where they tend to favor the left side of the screen. That’s sort of true. The fact is, the ten-year-old study that first pushed that concept is, well, ten years old. A lot has changed. Like billions of mobile devices. 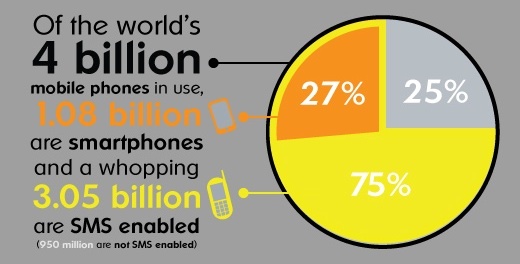 The first habit of website users that you need to understand is this: They are addicted to mobile. It’s likely they are reading your content on a mobile device. To find out exactly what percentage of your readers are accessing your website from a mobile device, check Google Analytics. How do you respond to these mobile users? You get to know them. As you create content or design your website, keep mobile users front of mind. Rarely will a visitor take time out of their day to exhaustively read through an entire body of content. Instead, they look at fixed points and scan their way through it. For that reason, sub-headers are helpful as well as bulleted points and short paragraphs with a maximum of three sentences. You may have heard that people now have shorter attention spans than goldfish. If you don’t offer intuitive navigation and meet visitors’ expectations right away, they’re going to bounce. Takeaway: Make your content easy to digest. Write a strong first paragraph and get straight to the point. According to Simon’s Law, hierarchical structures reduce complexity. How does this pertain to website content? So, by leaving plenty of white space between blocks of text, you can create a visual hierarchy. This also makes reading much easier on readers’ eyes. I know that I personally find it easier to digest lists when they’re in bullet format rather than in a series separated by commas within a paragraph of text. The takeaway here is that it’s better to break long lists of four or more points into bullets. Did this sub-header stand out to you more so than the others of this list? That’s because using caps in the right places tends to generate more interest. The world is a messy, chaotic place, but your website shouldn’t be. Neither should your website copy. Use text blocks carefully, making sure they are well-placed, neatly formatted, and appropriately colored. 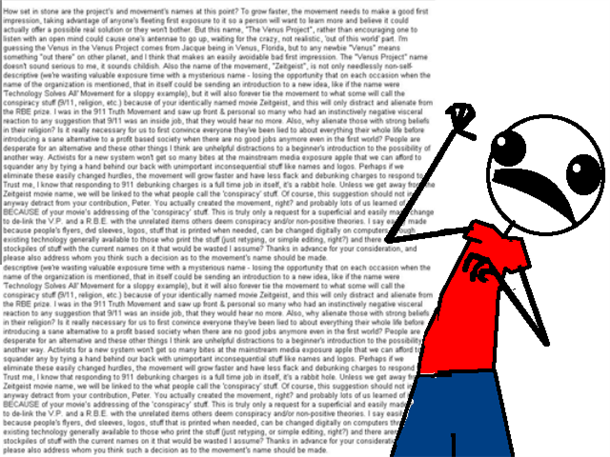 Above all, avoid the dreaded wall of text. A consistent conceptual structure is key to getting visitors to explore further and keep them coming back. For instance, I like to stick to long-form content, use a lot of visuals, and write short, concise paragraphs. Whatever your specific style may be, if it works, stick with it. If not, tweak it until it does work, and then stick with that. An eye-tracking study from Moz looked at SERPs to determine how much of an impact video thumbnails would have on people’s attention. 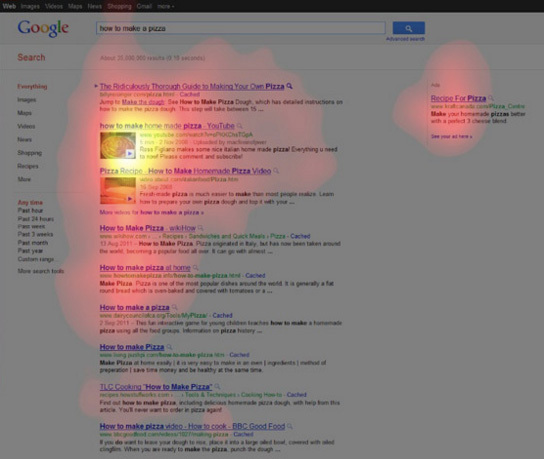 From their research, it’s clear that people naturally focus their attention on video thumbnails in SERPs. How does this relate to content writing? It shows that strategically embedding videos in your content can instantly grab attention and get more clicks. 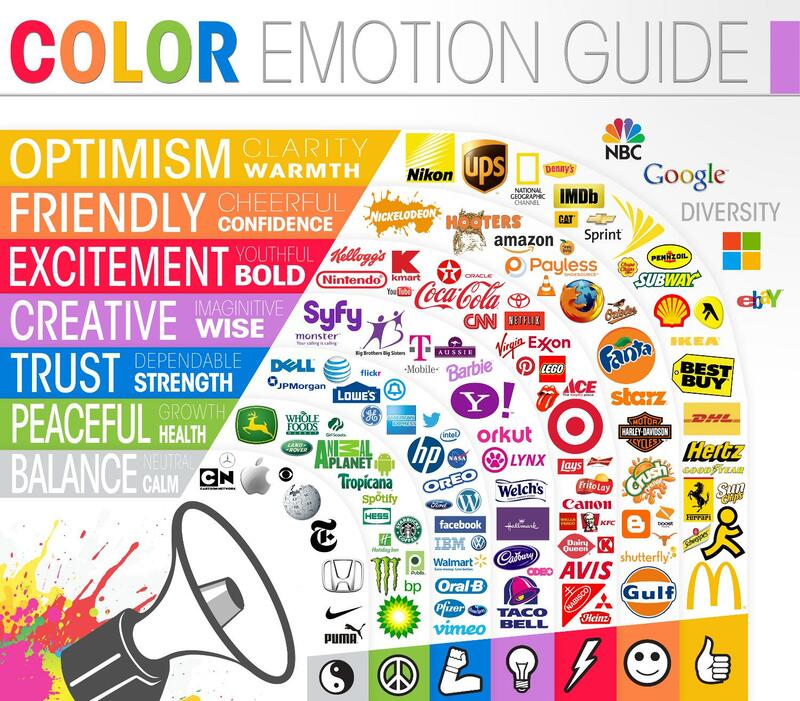 Understand what you’re trying to achieve with color, the psychology of your audience, and the overall emotion that you are striving for. 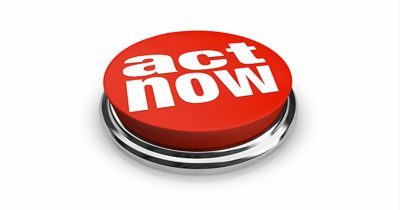 If you’re trying to emphasize something like a call to action, it would be advantageous to use a contrasting color. Or if you’re trying to create an intuitive content structure, you could experiment with different colors for sub-headers. One of the most common ways to force visitors to notice something is to hit them with popups. While it’s true that popups can be extremely effective and can even drive 1375 percent more subscribers, they should be used with caution. Website visitors want to feel as if they’re in control of their browsing experience. If they’re scrolling through your content and suddenly encounter a popup, they aren’t in control. This can be especially problematic when there’s not a clear “X” for exiting out. According to usability expert, Steve Krug, “Don’t make me think!” is his first law of usability. If your users are getting mentally exhausted when exploring your content, that does not bode well. This is why it’s so important for your content architecture to be simple, intuitive, and comprehensible. There’s been a longstanding myth that the vast majority of website visitors will look only at the content that’s above the fold. Here’s what is true. People first look above the fold, obviously. If what they see interests them, then they will scroll below the fold. The meaning of “fold” differs according to the size of the device and the level of required interaction for any given page. Most UX leaders agree that putting a CTA below the fold is a bad idea. However, others have found that click-through rates for CTAs increase when positioned below the fold. The difference depends on context. If you have a high-value or complex offer, you want to encourage users to read and then click, so you want to put the CTA below the fold. For more transactional one-and-done CTAs, an above-the-fold CTA would be better. Sometimes using less content above the fold makes users curious about what’s below the fold, causing them to scroll or swipe. In fact, one of my previous posts talks about how a page with 1,292 words beat a page with 488 words by 7.6 percent. The bottom line here is, long-form content will still get attention, and you don’t have to obsess over keeping key content above the fold. Sounding like a used car salesman and being overly promotional can be the kiss of death. For this reason, you should always refrain from beating website visitors over the head with irritating promotional content. I know I mentioned this above, but the point bears repeating. Jumping around sporadically from one topic to another leaves visitors in a state of confusion. 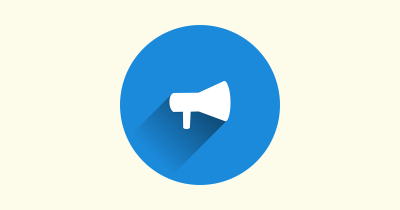 To get their attention and, more importantly, keep their attention, your blog posts, articles, white papers, etc. should always follow a logical sequence of steps. In other words, don’t put the carriage before the horse, and get all your key points across in a systematic fashion. Understanding the behavior of website visitors is essential for lowering your bounce rate, boosting engagement, and ultimately making conversions. By knowing your audience’s habits and adjusting your efforts accordingly, you can increase your effectiveness dramatically. Do you have any particular “content hacks” that your visitors have responded to?